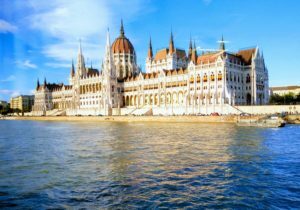 The Hungarian capital has it all – a rich and fascinating history, dramatic architecture, famous landmarks, historic thermal baths and an awesome nightlife. 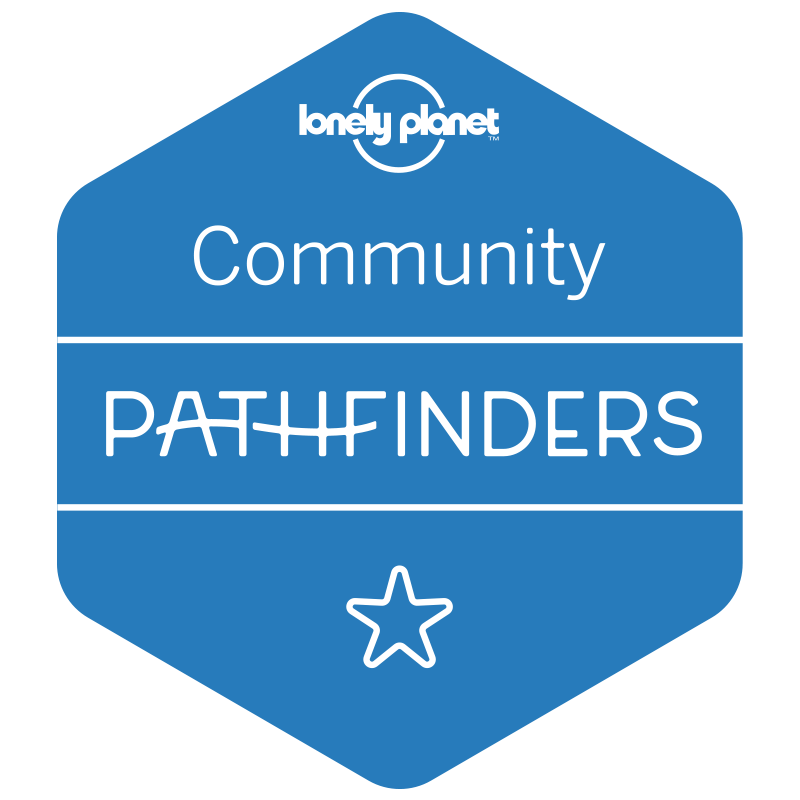 No wonder we couldn’t decide the title for the blog and eventually gave up to name it all. 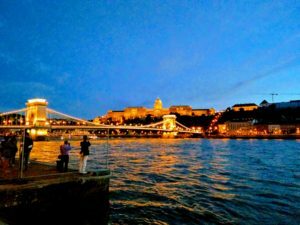 Budapest is a combination of two distinct cities – Buda on the western bank of Danube river and Pest on the opposite bank. 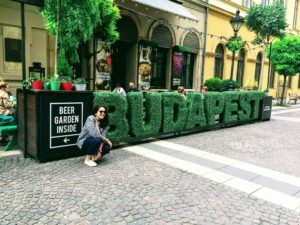 With distinct personalities – Buda is hilly, green and semi-urban while Pest is the urban center of the city. While Buda offers better views but Pest has all the ruin-pubs. They say – “When night falls, Buda goes to sleep and Pest wakes up” and we couldn’t agree more. 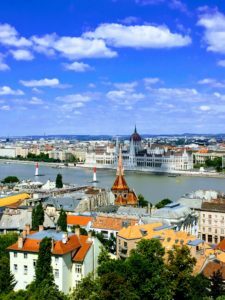 For budget-conscious travellers it sure is the ‘Paris of the East’ with beautiful architecture, great food and sparkling lights across the Danube river! 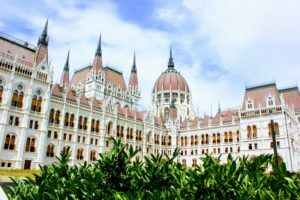 Also, amongst its popular attractions are the thermal baths indicative of the Roman, Greek and Eastern style architecture giving Budapest the title of ‘The City of Spas’. 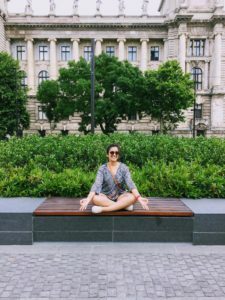 With so much to explore, we believe 3 days in Budapest is the perfect amount of time to soak in the two cities, see the majority of the sights, explore the nightlife and fall in love with this Eastern European city. 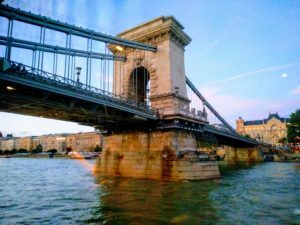 Stroll across the iconic Chain Bridge – With its iconic lion statues, the Chain Bridge is one of Budapest’s most famous landmarks, and no visit to Budapest can be considered complete without walking across it. Wish selfies cameras were better then! 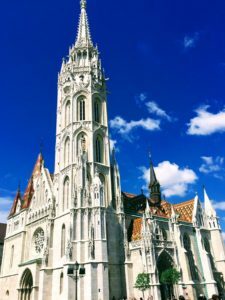 Danube River Cruise: A wine cruise on the Danube was the perfect way to relax and feel this gorgeous city. We spent 2 hrs tasting seven different Hungarian wines while watching the sun go down and the city light up. 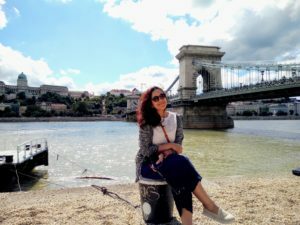 It was truly a magical experience and was surely love at first sight with Budapest! 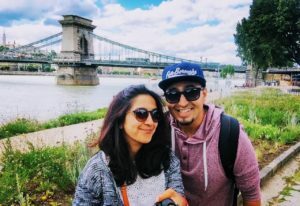 We booked through www.budapestrivercruise.com, check them out for more details. The city all lit up at night! 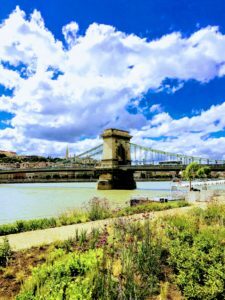 Budapest Walk – This tour was insightful and fun-filled with the aim of experiencing the city by bringing to life – streets, castles, bridges across Budapest. 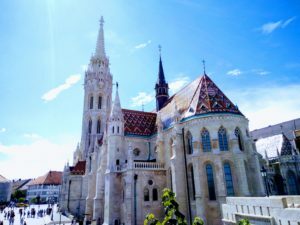 This 2.5-hour tours covered all major sites like the Danube Promenade, Municipal Concert Hall, Gresham Palace, St.Stephen’s Basilica, Chain Bridge, Castle District, Citadel, Magaret Island etc. Communist Tour – was an eye opener and gave a good overview of life in Hungary during the Communist era. We got a first-hand account of the way of living including education, housing, media, healthcare, religion both pre & post-communist era. Only recommend this incase you are interested in the history of the region. 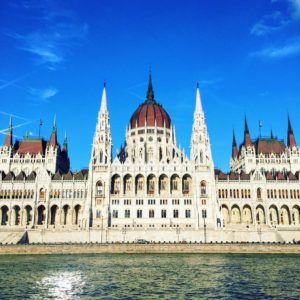 The Hungarian Parliament: Situated right next to the Danube, Hungary’s Parliament building is known as one of the most beautiful buildings in the world. This magnificent building is a result of an architecture competition in the 20th century with the other 2 runners up are also located across the parliament – one is the ministry of agriculture and the other is a museum. 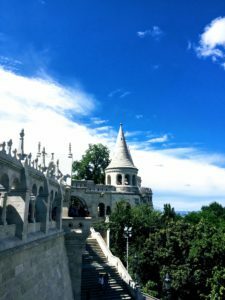 Fisherman Bastion – This fairytale castle located on the Buda side of the city is, even more, prettier than the pictures we had seen. 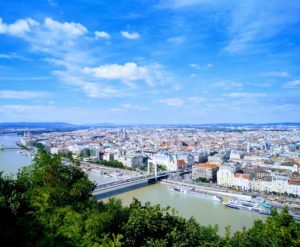 The Bastion is also a lookout point for stunning panoramic views across the Danube towards the Hungarian Parliament Building and Pest. 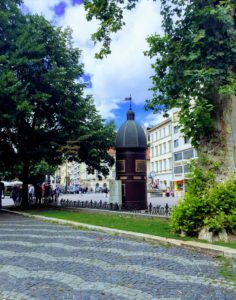 Built in 1902, the site was defended by the fishermen during the middle ages and hence the name. 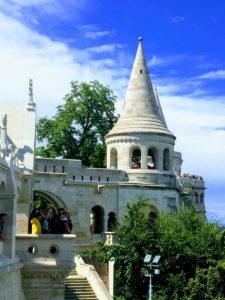 Climb the Gellért Hill – While the views from the Bastion are great – the views from Gellért Hill are even better and definitely some of the best in the city. It is a great hike up, passing through gardens up to the Liberty statue. It is a steep walk but completely worth it. 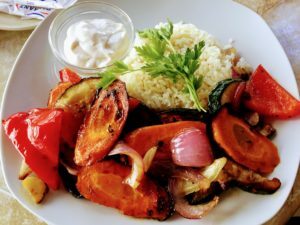 Be sure, you have a good meal before the climb. 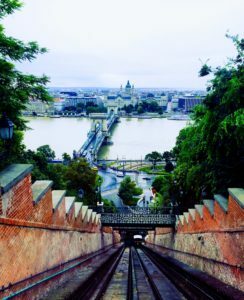 Take the Funicular up to the castle district – The funicular (elevated rail/cable tram) is located at the Buda end of the Chain Bridge, the ride up takes only a few minutes and provides a unique and beautiful view of Budapest. This was our first time on the funicular so we kind of enjoyed it – plus the waiting time was not as bad as it usually is so we decided to it. 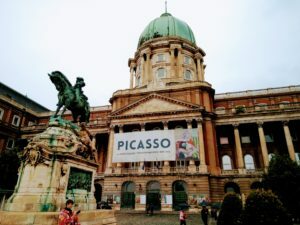 Once up the castle district, we covered the Buda castle along with the Hungarian National Gallery. 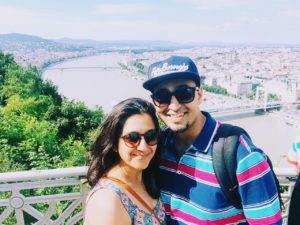 We spent our time exploring the district, sipping on coffee and enjoying the beautiful views of the grounds and the Danube. 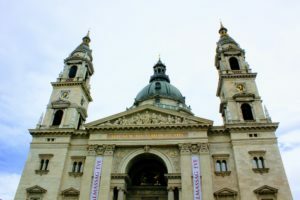 St Stephen’s Basilica – The largest church in Budapest and the highest building in the city (neck to neck with the Parliament) is definitely worth a visit. We covered it during both our walking tours. 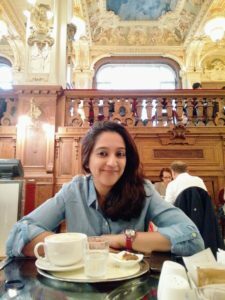 Thermal Baths – Budapest’s thermal baths are the ultimate places to relax and unwind. There are several in the city but the most famous, Széchenyi Bath, is still one of the best. 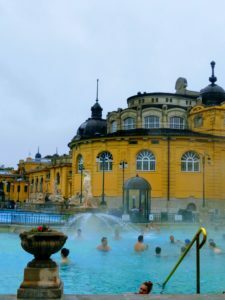 We spent one morning at the Széchenyi Bath – one of the biggest spa baths in Europe, with 15 indoor pools and 3 outdoor pools. It was a cold rainy day and the visit to the baths turned out perfect. Ruin pubs: Budapest is now super famous for these uber-cool pubs. Set up in abandoned spaces in the old Jewish district with funky art and mismatched furniture, the overall vibe is just amazing. 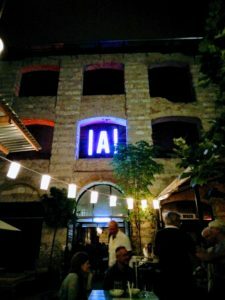 Szimpla Kert is a crowd favourite and must visit. We also recommend Anker’t which is a garden-pub / ruin pub – everything here is simple and minimal here. 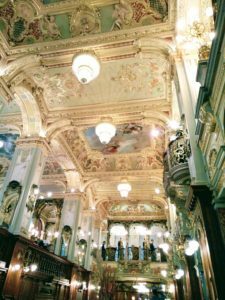 New York Café – Budapest is home to some grand cafés, and the New York Café is one of the most lavish. The café was frequented by writers, artists and intellectuals at some point in time but today is quite popular with tourists. 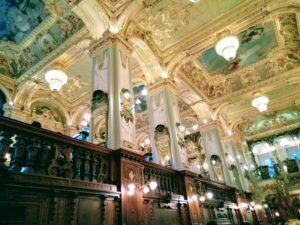 It is said to be the most beautiful café in the world and we couldn’t agree more. Prices are definitely on the higher side, so we mainly visited for a coffee to soak up the beautiful surroundings. Central market hall – A shopping district for all things local including Hungarian paprika which has some nice cafes around it as well. Roombach hotel Budapest Center – This boutique hotel – with its modern styling and comfortable rooms is situated in the heart of Budapest and is well connected to the underground. The breakfast is great and the reception area is super cool and colorful. Wow. I am going there in Aug 18. Lively place and you make it sound so interesting also. Thanks for the inputs. PL plan our trip for us including hotels etc. Lovely write up.delighted that we are going there in August.indeed it looks beautiful. Hi abha. 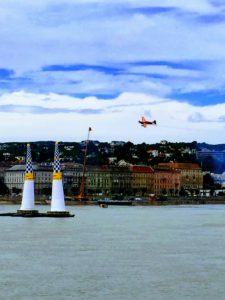 We have been to Budapest. Ur posts have made me wish for one more trip. One more time!!!! Wonderful write up! 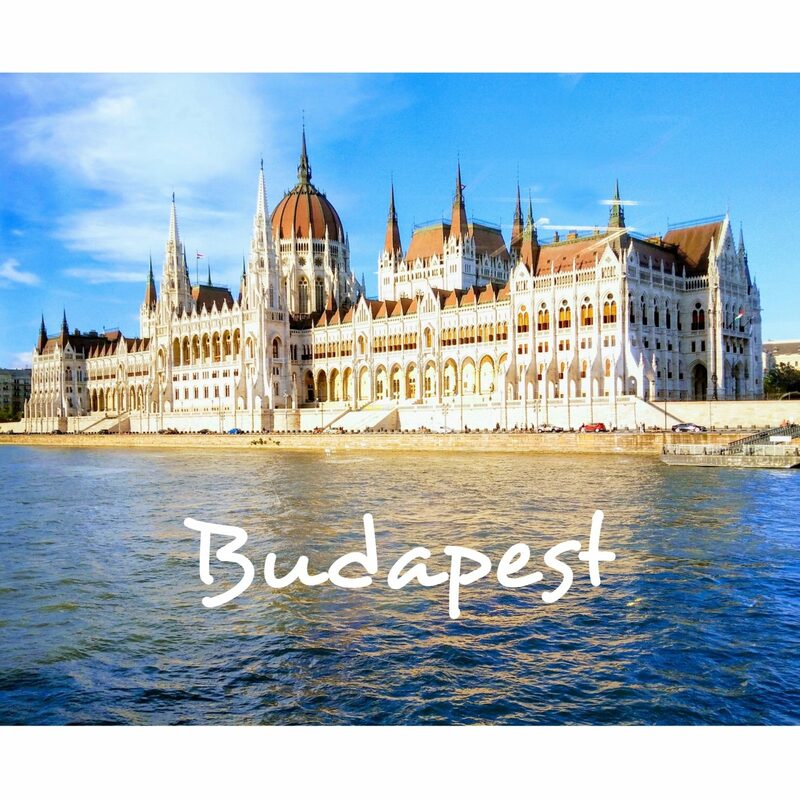 Would love to visit Budapest some day!